International Development Week is an annual event that brings together undergraduate and graduate students, faculty members, development practitioners and members of the general public to share new knowledge and ideas on international development. 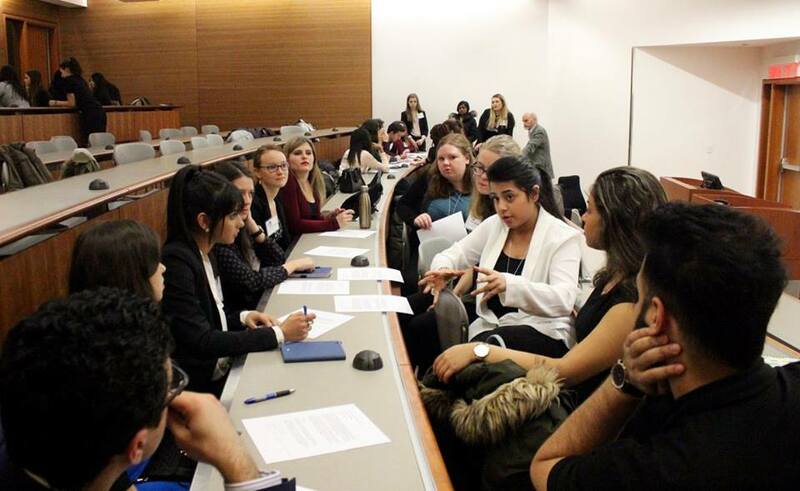 Through a series of events, roundtables and workshops, students have the opportunity to learn about development issues and the latest trends in sustainable development approaches from leading professionals in the field. This conference is open to students from all faculties and is open to students from any academic institution. The objective is to provide students with the knowledge necessary to understand complex development issues while providing them with the necessary network to pursue development initiatives and empower them to put their ideas into practice. The theme of IDW 2019 is Breaking Down Barriers: Mobilizing Locally for a Global Impact. This theme aims to explore the various individual, local, national and global barriers to international development, and the need for different actors from the public, private, non-governmental and academic sectors to mobilize and cooperate to overcome these complex barriers to development. More importantly, the conference will highlight the importance of applying community-based approaches to development in order to empower local people to facilitate change within their own communities. By emphasizing the importance of community and multi-sectoral mobilization, participants will be able to understand how different actors can come together to support local initiatives in order to empower local voices to create a global impact.